hd00:11tree branches and tree trunks under the snow on the ground. snow on the tree branches. winter view of trees covered with snow. 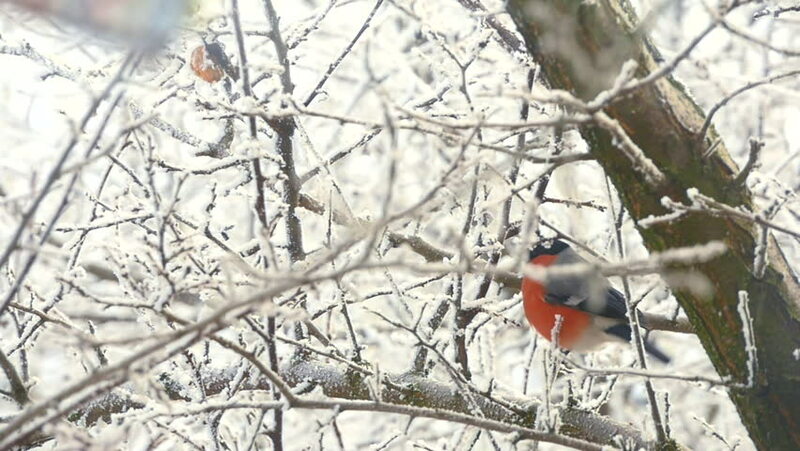 hd00:40Bullfinch singing in the natural environment.